1 Bedroom Flat For Sale in Reading for Guide Price £185,000. 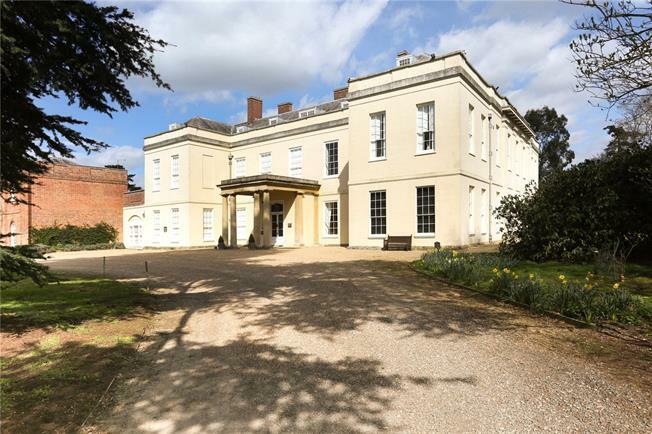 Delightful first floor apartment with tall ceilings and views over the gardens and grounds. There is a sitting room complemented with a feature fire place. There is a modern fitted kitchen with built in cooker, hob and fridge/freezer, bedroom with garden views and a bathroom. Swallowfield Park is located on the outskirts of this pretty Berkshire village with public house and village store and is conveniently located 5 miles from Reading, with easy access to the M4 Motorway at Junction 11, giving access to London and the West. Mainline train stations can be found at Reading to London Paddington in less than 30 minutes or alternatively Wokingham to London Waterloo in less than an hour. Swallowfield Park is approached by private gates with an extensive driveway bordered by delightful and fully maintained communal grounds and grazing land. The driveway leads to the front of Swallowfield Park with allocated residents and visitors parking areas. Numerous pathways give access to the extensive grounds which include a lake with fishing rights, a delightful walled garden and in all, the whole being surrounded by open countryside. Permanent residents must be over the age of 21. Overnight guests including children have the opportunity to pre-book guest suites at a nominal charge. There is a residents lift. Additional fees are payable as part of your ownership and on re-sale.